Women of color continue to be an invisible minority when it comes to college sports. A recent study of the eight major American collegiate sports conferences revealed that 88 percent of head coaches of women’s college teams are White and 57 percent are male. For the NCAA athletic directors, this number is even more dismal as there are more than 1,200 collegiate schools across the nation. The study, which was co-produced by LGBT SportSafe, The Institute for Diversity and Ethics in Sport (TIDES) at the University of Central Florida, and the Tucker Center for Research on Girls & Women in Sport at the University of Minnesota trains a light on the gender and racial disparity that still exists in college sports. Dr. China Jude, assistant vice President of Athletics at Queens College in New York, says that she is one of only 26 minority female athletic directors in the NCAA. Jude is a member of the Women of Color Athletic Director Network, an organization that works to increase the number of “dynamic, smart, brilliant, beautiful women” in the sports world, she says. “We do understand that it’s White male-dominated, but we are good leaders too,” says Jude. 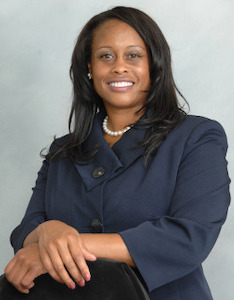 Dr. Kristene Kelly, director of athletics and recreation at Keene State College and a member of the National Association of Collegiate Directors of Athletics, says that the low number of female athletic directors versus minority women is equally troubling. She says that women should rally together to change conditions. “We need to help other young women come up,” she says. “Like Madeleine Albright said, ‘There’s a special place in H-E-double-hockey-stick for women who don’t help other women.’” Kelly was referring to the former Secretary of State’s controversial comment about the importance of women supporting Hillary Clinton during the 2016 presidential election. Barnes says that she has developed a bond with the other women in leadership positions. For example, while Jude was completing her doctorate, Barnes frequently checked in on a weekly basis with her to offer encouragement as she was completing the degree. That kind of support is essential, experts say, in a field where women are truly in the minority. But these women of color are also actively working to inspire the next generation of women of color who will go on to hold leadership positions at the collegiate level. Like McCree, Kelly stresses the importance of learning and says that young women should gain internships and volunteer opportunities and meet people who can help further their careers in the industry.